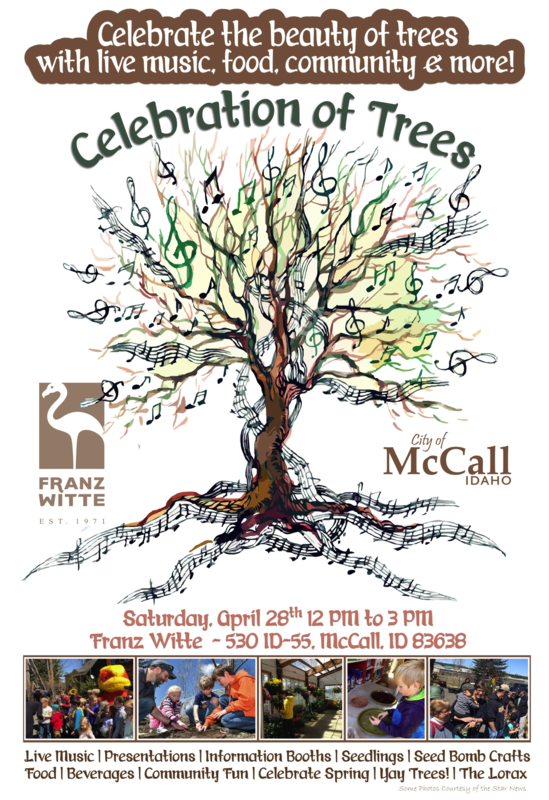 Join us for our annual event hosted by the City of McCall and Franz Witte Nursery. Live music, fun for the kids, free food and drink, and local professionals with knowledge of landscaping, trees, planting, pruning and more. Let’s celebrate our trees and earth! Event Located at Franz Witte Nursery off of Highway 55.